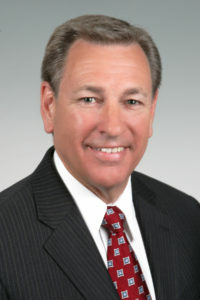 Bob Plymale currently serves as the Associate Vice President for Economic Development for the Marshall University Research Corporation (MURC), a 501c3 corporation, the Chief Operating Officer for the Appalachian Transportation Institute (ATI), and the Chief Operating Officer for the Center for Business and Economic Research (CBER). He previously also held the roles of CEO and Director for the Rahall Transportation Institute, now known as ATI. Under his leadership, RTI received two US patents, developed the National Maritime Enhancement Institute at RTI, and produced the award winning Electronic Commercial Drivers Licensing (eCDL) program. The Council of University Transportation Centers (CUTC) elected him as President in 2009, having served on the Executive Committee and all other offices from 2004 to 2008. In addition, Plymale is a highly effective and well-regarded public servant. He is currently serving his seventh term in the WV State Senate, District 5. He has served as Chairman of the Senate Education, Pensions, and Transportation Committees and also chaired the Select Committee on Public Employees Insurance Agency (PEIA) that led to the numerous changes and the current solvency of the system. Currently he serves on the Rules, Finance, Education, Pensions, Confirmations, Health and Human Resources, Broadband Council, and Budget Conferee committees. In 2003, Plymale was appointed by Governor Bob Wise to the Board of Control for the Southern Regional Education Board (SREB). He was reappointed by Governor Joe Manchin in 2006 and Governor Earl Ray Tomblin in 2010 and 2014 and continues to serve on the Executive Committee and as Treasurer. In 2004, Plymale was named to the National Council of State Governments (NCSL) National Task Force on “No Child Left Behind” and from 2005-2006, he was Chairman of the NCSL Education Committee and a member of the Blue Ribbon Commission on Higher Education. In 2008, the Marshall Community and Technical College awarded him the “Community College Champion Award” and in 2009 he was awarded the West Virginia Speech and Hearing Association “Legislator of the Year” for outstanding service to those with speech and hearing impairments. In 2009-10, Plymale Co-Chaired the NCSL Federal Education Policy Task Force which report was completed on February 1, 2010 and presented at the National Press Club in Washington, DC. He was selected to serve twice on the NCSL Executive Committee in 2008 – 2010 and in 2012-2015. He is the recipient of the Presidential Citation from Glenville State College, a Distinguished Service Award from the West Virginia Athletic Directors Association, and the Michael Prestera Award of Excellence in recognition of his efforts to improve the lives of individuals living with behavioral health issues. In 2005, Plymale received the Distinguished Service to the Community Award from Marshall University. He received the West Virginia Future Farmers of America (FFA) Honorary Degree (2009), the Southwestern District Labor Council ‘Labor Hall of Fame’ (2010) the Legislative Leadership for Arts in Education Award (2010), the American Trail 20th National Public Service Award (2010), the West Virginia Board of Education Office of Early Learning Champion of Pre-K Education (2013) and the West Virginia Brownfields Visionary Award (2015). He serves or has served on many state, community and philanthropic boards including the Keith-Albee Performing Arts Center, Inc. (KAPAC), Huntington Museum of Arts (HMOA), Wayne County Economic Development Authority (WCEDA), West Virginia Forestry Association (WVFA), Western Gate Land Development Corporation (WGLDC) and the Cabell County Senior Service Organization (CCSSO). Plymale is a 1978 graduate of Marshall University.